In 1998-2001, I was a PhD student at the Faculty of Arts of the University of Aarhus. The PhD project resulted in a dissertation that was dedicated to a comprehensive treatment of the dialect of Spartan poet Alcman. The dissertations was later published in a thoroughly revised version as Die Sprache Alkmans: Textgeschichte und Sprachgeschichte (Serta Graeca 24), Wiesbaden: Dr. Ludwig Reichert Verlag 2006, ISBN 978-3-89500-492-6. Alcman composed songs for maiden choruses in seventh-century BC Sparta. The books containing his poetry were lost already late antiquity (it appears), and they were known only as quotations in later authors. However, the sand of Egypt preserved numerous papyrus pieces of which the first and hitherto longest fragment counts ca. hundred more or less readable lines, viz. the so-called Great Partheneion (i.e. maiden song). Alcman is not only the earliest choral lyric poet to have his fragments surviving to an appreciable extent, but also the only poet to use the Laconian dialect. His poetry is, therefore, crucial to our understanding of the early history of the Greek dialects and the development of Greek poetical language. The British philologist Denys L. Page wrote in 1951 an excellent commentary to the Great Partheneion, in which he argues that the poetry of Alcman was composed in the local (“epichoric”) dialect, and the influence of the epic poetry (especially the Homeric epic) restricted itself to contexts characterised by an epic thematic, phraseology or metrics. This conlusion is repeted by all handbooks without further ado, even though many new papyrus fragments were published in the meantime. In my MA thesis (written in 1996), I criticised Page's discussion of the “digamma” (i.e. [w]). I demonstrate that Alcman did not use this sound to the same extent as the local dialect; in other words, he did not compose his poetry in this dialect. The epic influence, I conclude, is not accidental or superficial but deeply rooted in the language of Alcman. I later translated a part of the MA thesis into German as “Kritische Beiträge zum Alkmanischen Digamma”, Classica & Mediaevalia 48 (1997) 37-51. Page’s 61 pages long linguistic excursus was the only treatment of the idiom of Alcman, and it has been overtaken by the discovery of numerous new papyrus fragments in the meantime. Furthermore, inspite of Page’s indisputable qualities as a leading philologist of his age, his linguistic analyses are not always beyond question. My PhD dissertation, Die Sprache Alkmans (examined 2001 and published 2006), fills this gap, addressing itself to Classicists and Indo-Europeanists alike. The work is at the same time a phonology and morphology of the dialect of Alcman and a historical investigation of the formation of the poetical language and the transmission of the text. The choral lyrics of Alcman has come to us in two different ways: as quotations in Classical and Hellenistic authors and, especially, in papyrus fragments of a varying extent and condition. The unfavourable conditions of transmission require a meticulous analysis of each linguistic phenomenon in order to define the form in question more precisely and measure its linguistic and philological consequences more far-reachingly. Die Sprache Alkmans is first of all a grammar of the language of Alcman on the basis of textual criticism and comparative philology. The value of the work lies above all in the fact that it contributes to a more competent discussion of the dialect of Alcman and the history of the Greek language. Thus, it will once for all eliminate the many ghost forms, lacking any basis in the text, from the philological and linguistic literature. In addition, I propose an original model for the development of the Greek poetical language. I reject the uncritical projection of the Hellenistic spelling forms onto the Archaic proto-text; instead, I operate with a distinction between a surface structure conditioned by the performance and a depth structure independent of the context. With this heuristic dividing line, I succeed in demonstrating that the language of Alcman agrees fundamentally with that of the other Greek poets, particularly Homer. 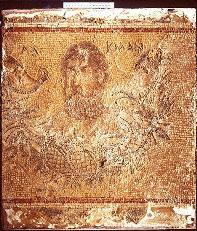 Furthermore, I argue that the choral lyric poems of Alcman was not in general written down until the Hellenistic age. Even though this thesis, which is not vital to the other results of the work, is without doubt controversial, it is an important contribution to the ongoing discussion of the orality of early Greek poetry. One should also mention Ernst Risch’s short but influential article from 1954, “Die Sprache Alkmans” (Museum Helveticum 11, 20-37). Richard Albert Felsenthal’s unpublished dissertation The Language of the Greek Choral Lyric (Wisconsin-Madison 1980), on the other hand, is only a repetion of Page’s position. New papyri are P.Oxy. 2387 (= fr. 3), P.Oxy. 2388 (fr. 4), P.Oxy. 2394 (= fr. S5(b), 162), P.Oxy. 2443 (= fr. S5(b)), P.Oxy. 2801 (= fr. S3), P.Oxy. 3213 (= fr. S5(b)), P.Med. inv. 72.10 (= fr. 93). New papyrus commentaries (with quotations from Alcman’s poetry) er P.Oxy. 2389 (= fr. 1, 2, 7, 8, 9, 11, 13(a), 16), P.Oxy. 2390 (= fr. TA10a, TA10b, 5), P.Oxy. 2391 (= fr. 6), P.Oxy. 2392 (= fr. 18), P.Oxy. 2393 (= fr. 12), P.Oxy. 2506 (= fr. 10(a) = TA2, 10(b), 16), P.Oxy. 2802 (= fr. S5 = TA11b), P.Oxy. 3209 (= fr. 4(a)), P.Oxy. 3210 (= fr. S 5(a)), P.Oxy. 3542 (= fr. TA3).